Christmas is saying hello to us and it’s the happiest time of the year! All families without exception have begun to decorate their house with Christmas ornaments. Melania Trump, the first lady of America, reportedly had decorated a red Christmas tree at the White House, let alone us. 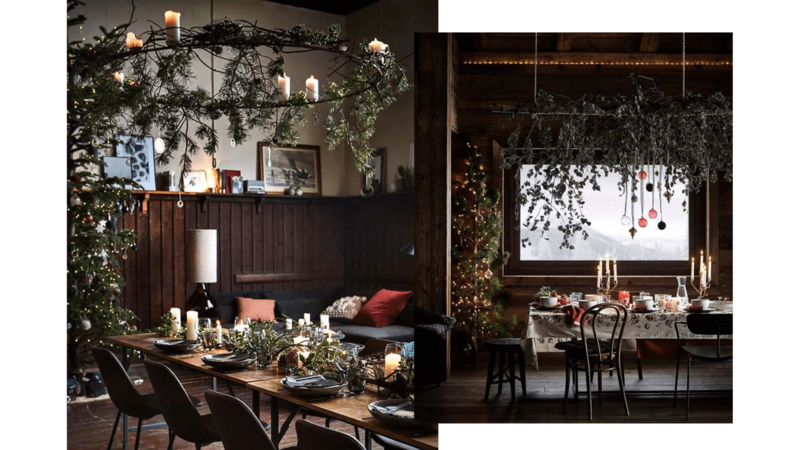 But how to decorate your home to be festive for Christmas? 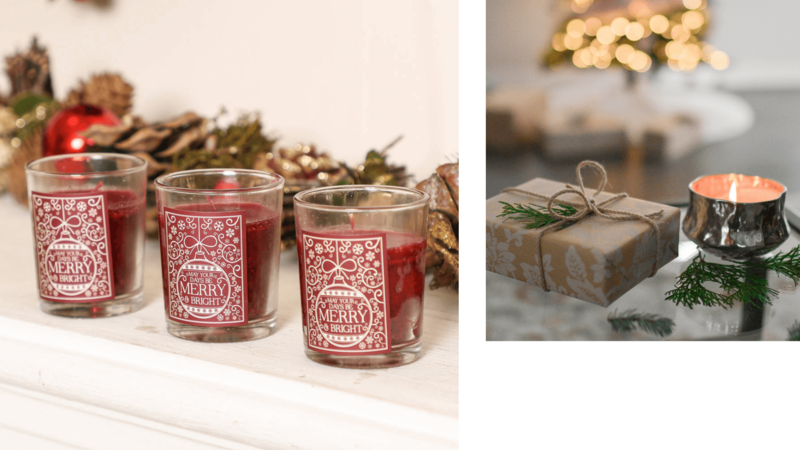 Today we are going to talk about Christmas home decor ideas to make your home Christmassy. Christmas tree must on the list of expenses on the decoration. However, it’s not enough. 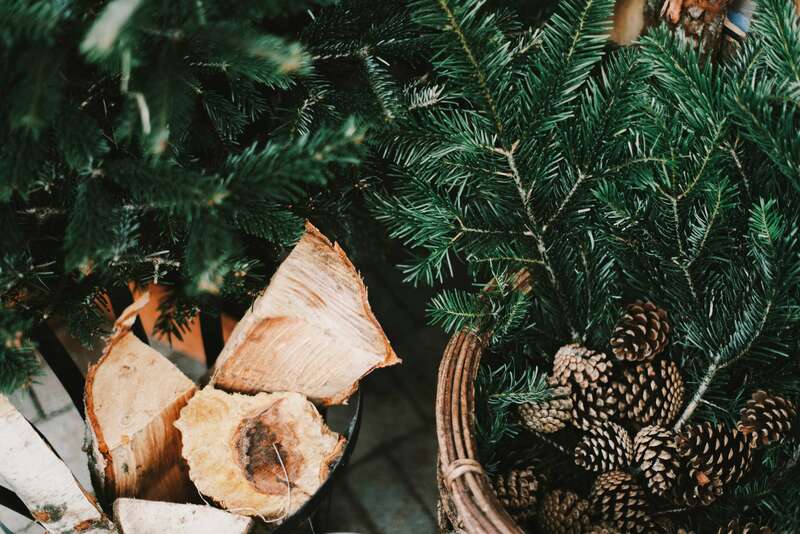 You can also collect some natural and organic materials, such as pine cones, eucalyptus branches, evergreen trees, and spruce. These are necessary to transform the home into a magical fairy tale of solar energy celebrations and will add a touch of finishing touch. And you can decorate the whole house by your way, not just a room. The important point for Christmas Eve is to put up the lamps. Warm lights seem to bring warmth to the whole house. You can have the lamps around the tree, pine cones, and other plants. 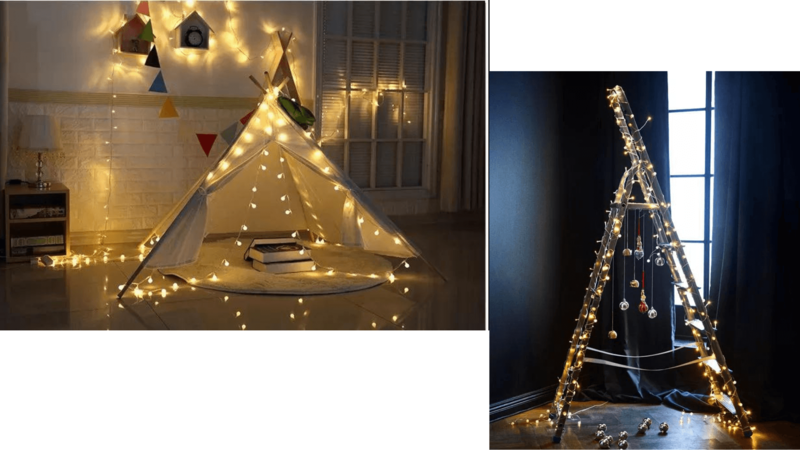 Also, if you have a simple ladder, you can also decorate it with lamps. A dinner is undoubtedly one of the most essential parts of Christmas. In addition to the house, the table is also a part to decorate. 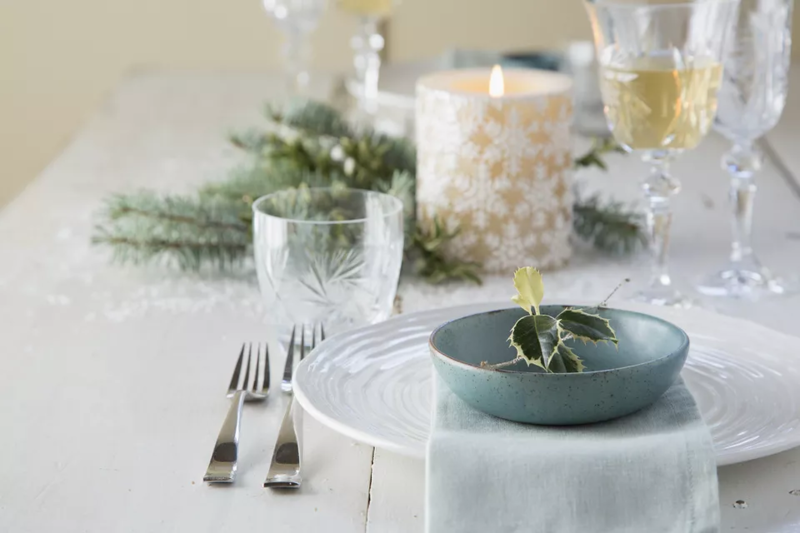 I know you all will buy a Christmas tablecloth, but don’t forget choosing a set of Christmas tableware. 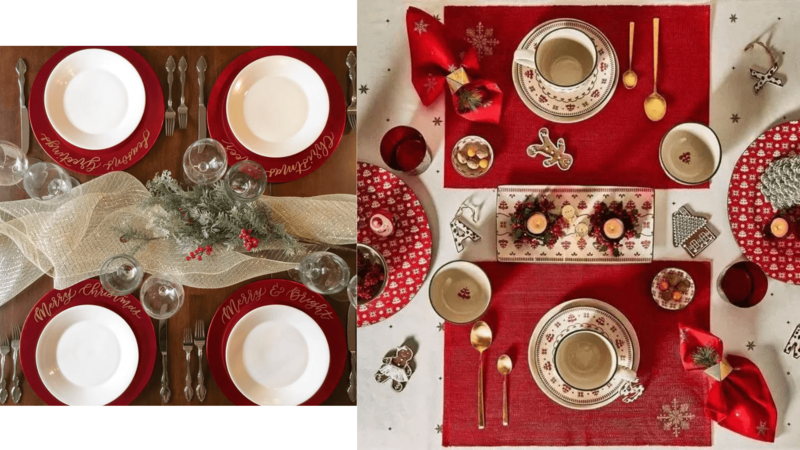 Red is the popular color of this season, so when choosing tableware, there is no better choice than using Santa’s favorite color. Or you can decorate dishes with green plants. After setting up the above things, don’t forget to light some scented candles. 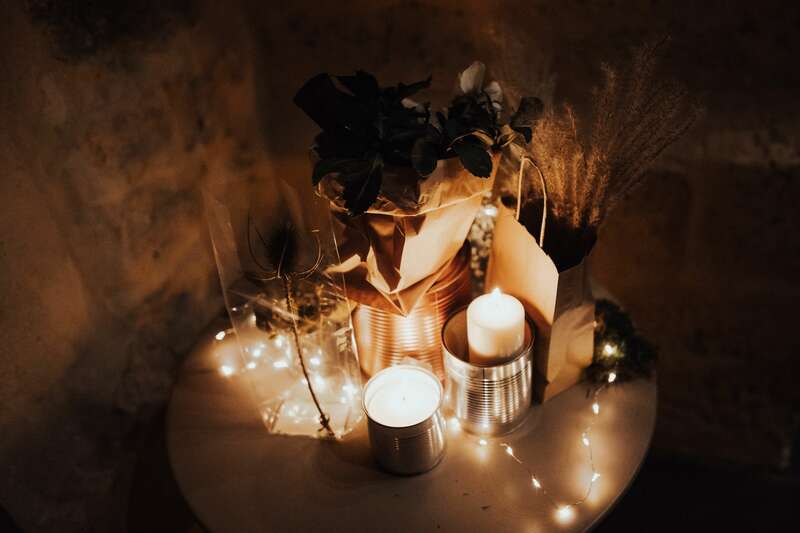 Not only scented candles can light up your house, but the smell can make your Christmas extra perfect. There’s nothing better than wearing Chrismas outfits to celebrate. 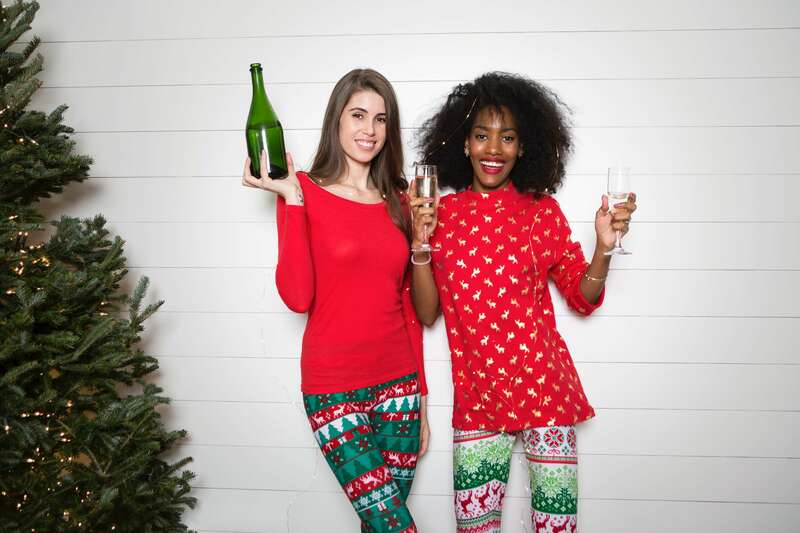 An elk-printed sweater, a snowman dress, and even a Santa’s red hat, they’re amazing and so festive for Christmas. Or buy a Christmas family set to wear together, which is such a Christmassy thing to do. 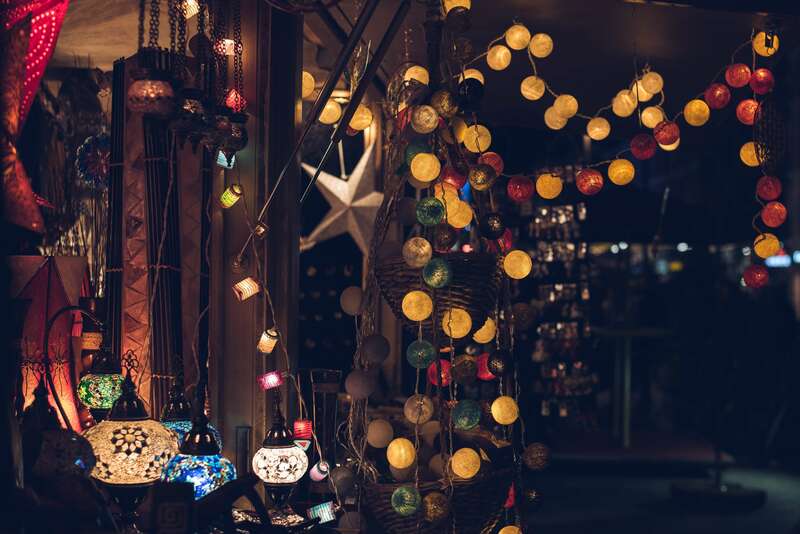 What’s your Christmas home decor ideas? Share them with us!